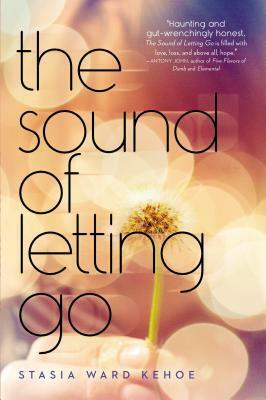 When we received a package from Penguin, and one of the books included was The Sound of Letting Go, which I haven't heard of before, I decided to pick it up. When I read the synopsis I knew this was a book I wanted to pick up. Only when I sat down and opened the first page did I find out it is told in verse! Through my almost three years of blogging, I've never read a verse book. For some reason I always stay away from them but I decided this is a message from somewhere that I need to sit down and finally give verse books a try. I am so glad I picked it because I had a totally misconceived idea about what verse books are. I really enjoyed this way of storytelling and boldly say The Sound of Letting Go will not be my last verse book. Now to the actual review. Daisy, the main protagonist, was a very likable character. I totally sympathized with her as well as the difficult situation she is in. Everyday she would go through an emotional roller coaster: She resents her brother for their situation.. then she feels guilty for him because she loves him.. he's her brother.. but does making him her brother mean that she has to love him? then she goes back to feeling guilty of thinking about that. Add in how she always feels like the third parent instead of a junior in high school. I just felt so bad for her. She wasn't whiny.. if you thought she was. Put yourself in her shoes and I'm pretty sure you would have been worse than her.. I know I would. One thing I would like to point out is that the synopsis is very misleading. I was waiting for her rebellious stage to start and it did, sort of, 200 pages in. Also the whole thing about the exchange student being the light in her dark world? that never really happened.. he wasn't even much present in the novel. I think this novel is more about Daisy and her thoughts, emotional monologues, as well as how she copes with what she is currently going through. It is 400 pages but don't let that intimidate you, I read it twice as fast as normal books because of its verse style. I definitely recommend it to contemporary fans, especially ones who have never read a verse book before. I am now very excited to pick up Kehoe's previous verse novel, Audition. Check out my 3 minute and a half video review of The Sound of Letting Go! It's sad that it wasn't like what the blurb makes it sound like, it sounded really good. I haven't read anything in verse before, and I admit I am a little leery of it, but I might have to give it a try. Glad you ended up still enjoying this one. Initially I wasn't going to pick up this book because it was all in verse but now I'm reconsidering, Great review!